From West to East, and from North to South, every culture on Earth has developed a special tradition, associated with different beliefs regarding protective, spiritual and healing power of crystals. Among these general beliefs, maybe the most notorious is the healing power associated to crystals and stones. Now, do not rush to the nearest lake or river to fill your pockets with stones, as those will do nothing for you. This colorful therapy consists in using different types of gems and stones such as amethyst, citrine or quartz for a medical purpose. A pseudoscientific alternative to conventional medicine, the healing power of crystal seeks recognition from the medical world. This world-wide famous type of therapy has followers of all ages, sexes and religion and it represents a natural supplement to the conventional treatments. Everyone has a specific ritual of using healing crystals. Some of the crystal specialists strongly advise us to keep the healing crystals as far as possible from the hands of strangers, whilst other suggest to keep them as exposed as possible and to encourage people touching them and thus relieving any potential harming energy that may interfere with the owner’s chakras. Regarding crystal healing, there are various ways to carry a stone. Depending on the shape and on the type of crystal, somecan be put on the affected area, on or above certain parts of the body. A healing fashion, one of the most common way of using healing crystals is by wearing them as jewelry (rings, earrings, pendants and many others). The almost magical healing power of crystals and stones is strongly connected to Chakra healing, depending mainly on the color and on the shape of the stone. The connection between healing crystals and Sahasrara or the 7th chakra, transform healing stones in excellent supplements in the treatment of psychological and physical conditions such as depression, stress, insomnia, headaches, traumas and even cancer. Keep in mind that all healing crystal are more like a supplement to the already prescribed medication. Crystals are used more as spiritual supports to healing, so don’t wander why your doctor didn’t prescribe any to you. This gem comes in various shapes and colors and it’s exactly these key elements that describe the power of this stone. Amethysts functions more as a spiritual guider as this gem increases spirituality and enhances intuition and psychic powers of all kinds. Good for students and for all people involved in hard mental activity, this stone makes the connection between the earth or our reality and others realities and worlds. Whenever one wants to meditate or to have a good sleep with the sweetest dreams in the world, amethyst is the best crystal you can find, as this tinny purple stone relieves insomnia. 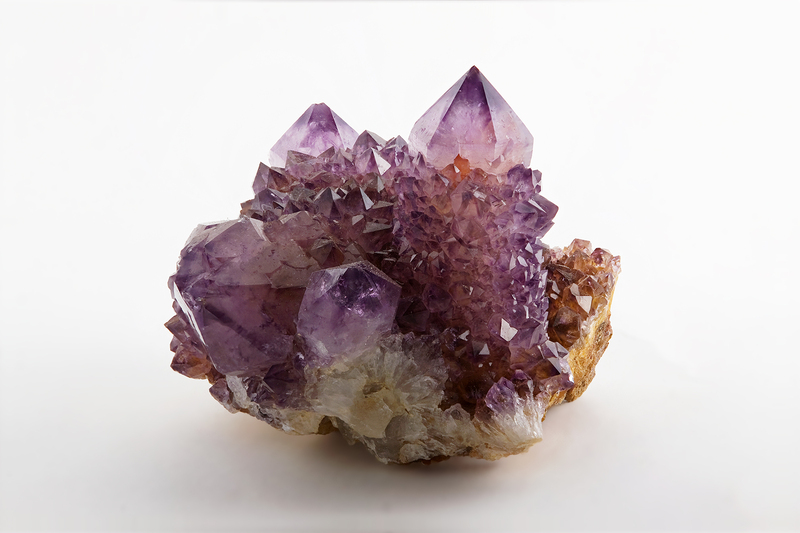 During sleep, the amethyst balances the endocrine system and the metabolism, thus strengthening the immune system. Reports show that this gem can be successfully used even for severe maladies such as cancer. It seems that this gem reduces pain and strengthens the body to fight against cancer. It destroys malignant tumors and aids in tissue regeneration. You have a headache and you don’t know what to do? Amethyst may be the answer; with its power to reduce stress and bring emotional relief, the amethyst may actually ease headaches and release all tensions. 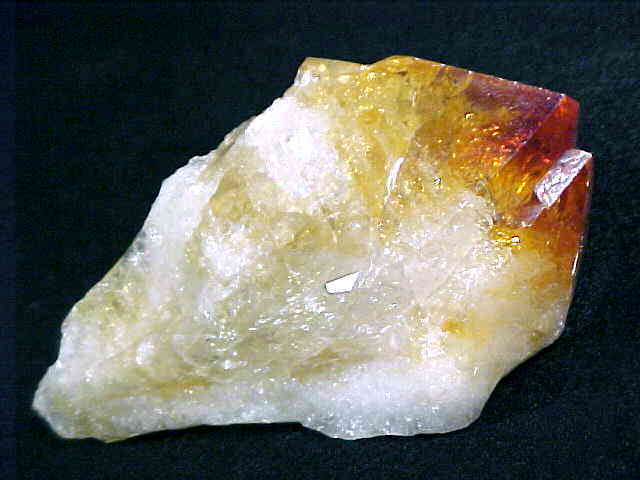 This rare natural beauty is a variety of quartz with colors ranging from yellow to brown. Generally used in degenerative disease due to its energizing and recharging, properties, Citrine influences digestion, helps spleen, pancreas, kidneys and bladder to fight infections. Preparing your body for a show off, Citrine may become your favorite everyday accessory. Specialist have reported that citrine increases blood circulation, detoxifies the blood, relieves constipation and removes cellulite. The stone of pure love, Rose quartz is the gem to have if your relationships is going through a rough time. But you know what they say, better to prevent than to treat. Rose quartz is the promoter of love, marriage, self-love, friendship, deep inner healing and feelings of peace; one may almost say that this gem is the heart gem. And speaking of marriage, Rose Quartz has the power to increase fertility and to protect both mother and unborn fetus throughout pregnancy. A friend in heart needs, Rose Quartz strengthens and balances the heart and the circulatory system, while releasing impurities from body fluids. Good for lung and kidney problems, this little gem is a must-have in all the houses. This gray version of quartz influences the solar plexus chakras. So there’s no wonder that the healing powers of this gem lays on the median base part of the body, in areas such as back, abdomen, hips and legs. You’ve ran a bit too much or you’ve started prior to a proper prior training? 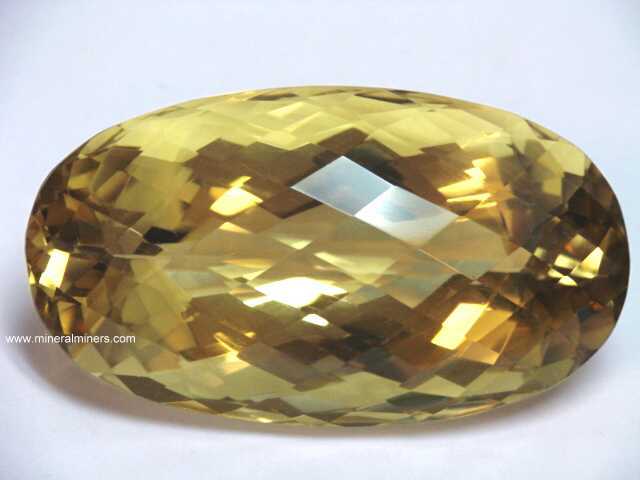 It seems that a smoky quartz may help healing cramps or muscular spasm, strengthening the back and fortifying the nerves. Good for athletes or even for newbies in the field of sport, this crystal is a wonder in the mineral’s assimilation and acts as a liquid regulator within the body. Among the healing crystals, the Snow quartz is considered a very yin, almost feminine stone that brings fortune, good luck and calm. As a healing stone, the Snow quartz is used for helping the immune system fighting diseases and common cold. Carnelian – this red healing stone, treats lower back problems, rheumatism, arthritis, neuralgia and, as its quartz counterparts, depression. The gem is known to improve mineral and vitamin absorption by enhancing the blood supply to organs and tissues and thus accelerating bones and ligaments healing. Turquoise – well known for its distinctive colors, this gem is the doctor of your body. Turquoise purifies lungs, clears sore throats, and heals eye related affections, enhances the immune system, stimulates the regeneration of tissue and may be used as a pain relief for cramps. Scolecite – this gem is the best asset for people suffering from insomnia. Promoter of self-control, relaxation and communication, Scolecite gives the ability to better understand the world that surrounds you and to find the best solution to all your problems. Bloodstone – let it motivate you! This dark-green gem is like a personal trainer. As a plus, this gems is ideal for anemia and leukemia, as it detoxifies the liver, intestines, kidneys, spleen and bladder. As a plus, the gem is known for protecting the bearer from any exterior harm. Fluorite – the best friend before an exam, Fluorite increases concentration, self-confidence and encourages positivity. This gem boosts the immune system, stimulates the regeneration and restructuring of cells, particularly in the skin and respiratory tract, and it is known for healing ulcers and wounds. Jasper – is a wonderful support through times of stress. By balancing yin and yang, this gem brings tranquility and calm in the life of the bearer. The healing power of crystal is an amazing asset for our everyday life. Just by wearing the right jewelry, a small lucky charm quartz or a small piece of crystal, our life can improve significantly with only little to no effort. Hey Buddy!, I found this information for you: "The Healing Power of Crystals & Common Practices". Here is the website link: https://accessgems.com/healing-power-of-crystals/. Thank you.